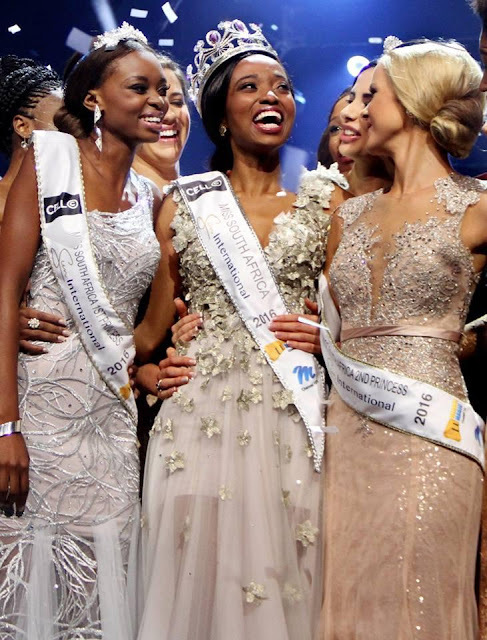 BRAKPAN, South Africa - Ntandoyenkosi Kunene (23) was crowned Miss South Africa 2016 at the Carnival City in Brakpan on March 19. She will represent South Africa in Miss World 2016 and/or Miss Universe 2016. Tayla Skye was the second runner-up and Elizabeth Molapo was the first runner-up. SAN JUAN, Puerto Rico - Stephanie del Valle Díaz (19) was crowned Miss Mundo de Puerto Rico 2016 at the Telemundo studios in San Juan on March 19. She will represent Puerto Rico in Miss World 2016. Stephanie Román de León was the first runner-up and María Victoria Pérez was the second runner-up. Brenda Azaria Jiménez Hernández (21) was crowned Miss Universe Puerto Rico 2016 after the original winner was dethroned. She will represent Puerto Rico in Miss Universe 2016. MACHALA, Ecuador - Connie Maily Jiménez Romero (20) was crowned Miss Ecuador 2016 at the Oro Verde Hotel in Machala on March 12. She will represent Ecuador in Miss Universe 2016. Bianka Fuentes and Ivanna Abad finished in second and third place, respectively. MANAGUA, Nicaragua - Marina Eugenia Jacoby Santos (20) was crowned Miss Nicaragua 2016 at the Ruben Dario National Theater in Managua on March 5. She will represent Nicaragua in Miss Universe 2016. The first runner-up was Brianny Chamorro and the second runner-up was Virginia Chow. 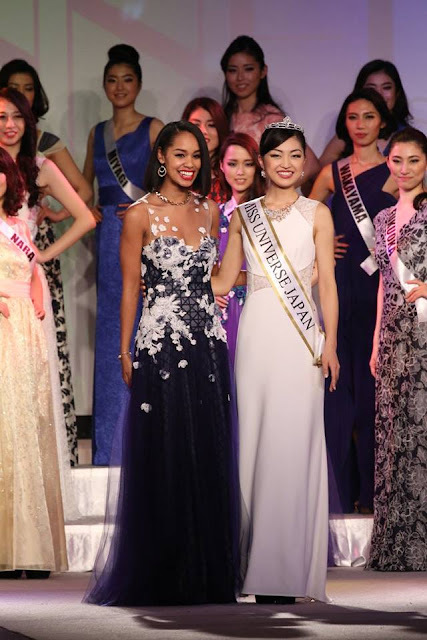 TOKYO, Japan - Sari Nakazawa (22) was crowned Miss Universe Japan 2016 at the Hotel Chinzanso Tokyo on March 1. She will represent Japan in Miss Universe 2016. JAKARTA, Indonesia - Natasha Mannuela Halim (21) was crowned Miss Indonesia 2016 at the RCTI studios in Jakarta on February 24. She will represent Indonesia in Miss World 2016. Editha Aldillasari Rodianto and Dian Bernika Ayuningtyas Silalahi finished in second and third place, respectively. 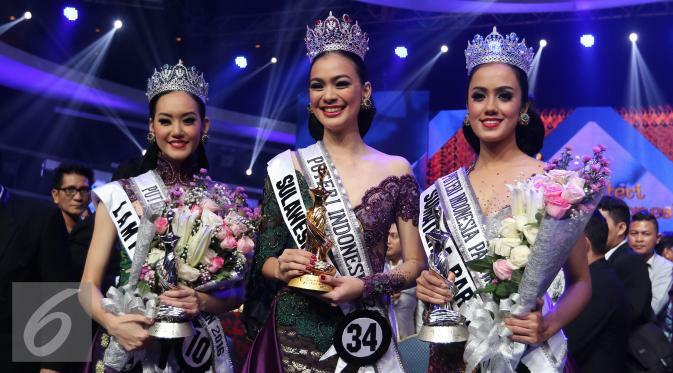 JAKATA, Indonesia - Kezia Roslin Cikita Warouw (24) was crowned Puteri Indonesia 2016 at the Jakarta Convention Center on February 16. She will represent Indonesia in Miss Universe 2016. Felicia Hwang was the first runner-up and will compete in Miss International 2016. Intan Aletrino was the second runner-up and will compete in Miss Supranational 2016.